We're passionate about our services as well as our costumers. We're always happy to help, share ideas, and present new solutions for your needs. We're constantly checking emails and always appreciate your comments, feedback and/or questions. Plus if you have a diet and healing story you'd like to share we'd love to hear from you... your story will inspire others and will be featured on our website. My mother has stage 4 cancer and I was curious to know how long a bottle of Eldi oil would last if I were to massage her with it every night? I looked on your YouTube video saying how good it is to massage a person in her condition so that it can be absorbed into her body. How long a bottle will last really depends on how much you apply to the body on a daily basis. I’d recommend using a teaspoon to see exactly how much you are holding and using each time, and calculate how long the bottle (97 teaspoons) would last. Are your Eldi Oils the same bottle as the Foundation? Yes and No, The Budwig Foundation does not mail to the US… and Wolfgang Bloching has retired, so we work with a German Shipping Service that helps us bring glass bottles from the Budwig Foundation to the USA. Here we re-bottle them into plastic bottles, after having many glass oil bottles break during shipments. (from before) Do you sell the same Eldi oil as Wolfgang Bloching in Germany? Yes, we worked with Mr. Bloching, many previous orders processed were from him until he retired. 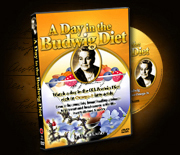 Questions regarding the Budwig Oil-Protein Diet? Dr. Gene offers consultations via skype or email for patients following the Budwig Diet and Protocol. Receive answers to your questions from Dr. Gene Wei, DOM, AP, author of the book "A Day in the Budwig Diet". You can find our books and DVDs at websites worldwide. ©2010 UEscher Productions. All Rights Reserved.